This is a plate from Tex, signed by the author. 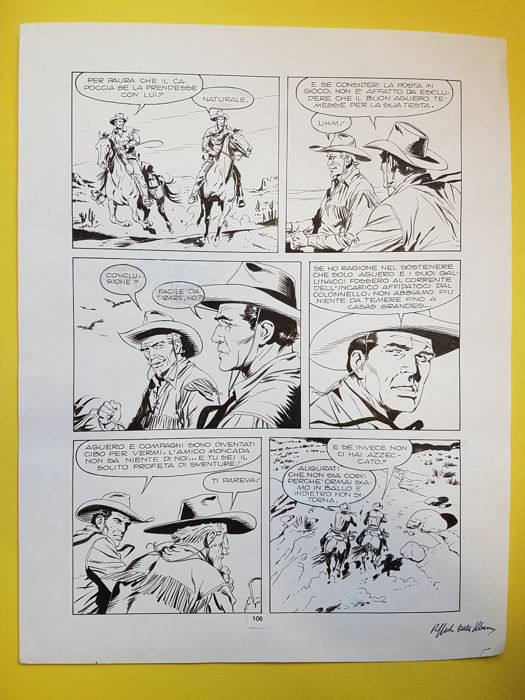 Featuring Tex Willer and Kit Carson in the foreground. With a slight wrinkle on a corner.